Those opposed to a substantive redistribution of land in Scotland accuse those of us in favour of substantive land redistribution of 'Mugabe-style land grabs'. The white people of Zimbabwe, we're told, 'own' lots of land on which they have productive farms. The elected president of Zimbabwe, Robert Mugabe, is, we're told, a bad man because he wants to seize this land off the nice white people and give it to his supporters (who are black). Let's just recall a little history. Between 1810 and 1831, the Marquis of Stafford drove the people of Sutherland off the good land they had customarily farmed onto poor and marginal land, and replaced them with imported farmers. The common folk of Sutherland did not consent to this; no legislative assembly in which they were represented gave authority for it. Between 1881 and 1900, the Canadian Pacific Railroad drove the Dakota and Métis people of Saskatchewan off the good land on which they had customarily lived, and replaced them with imported farmers (including my grandfather - this is not ancient history). The common folk of the Dakota and Métis did not consent to this (and actually, neither did any representatives of theirs). Instead, they revolted, but it didn't help them, because the railroad company had the guns and they didn't. No legislative assembly in which they were represented gave authority for it. 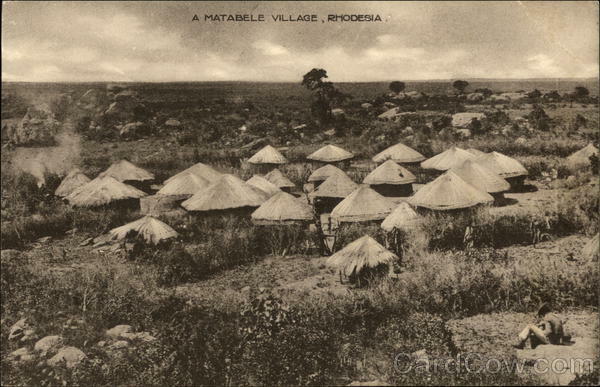 At exactly the same time, Cecil Rhodes (with help from the British South Africa Police) drove the Matabele and Shona people of Zimbabwe off the good land which they had customarily farmed, and replaced them with imported farmers. The common folk of the Matabele and Shona didn't consent to this. No legislative assembly in which they were represented gave authority for it. Rhodes' apologists claim he had an agreement - the Rudd Concession - signed by King Lobengula of the Matabele. But what neither side appears to dispute was that the verbal agreement which the king made was for 'at most ten' white men to come, and it gave them rights only to dig for minerals, but that the English written document which he was persuaded to sign made no mention of any limits. Rhodes' apologists are even rather proud of this sleight of hand; it's evidence, apparently, of hard-headed business acumen. What the British Empire was doing, just as much in Sutherland as in Saskatchewan and Matabeleland, was imposing an entirely new concept of land ownership which had never existed before. It gave to members of the new (British) elite exclusive right to determine the management of extensive tracts of land, and to determine who could live on and work that land. And - in Sutherland just as much as in Saskatchewan or Matabeleland - it imposed that new concept, against popular resistance, by force. You can take a range of views of the relationships of pre-modern peoples with their elites. At best, common folk paid their local elites in return for services of protection from raiders and administration of justice. At worst, local elites ran protection rackets, parasitising off the economic activity of common folk. In almost all cases, the truth was somewhere between these two extremes. But I know of no pre-modern society where elites had a right to throw the commons off the land. Rather the contrary; the elites needed the labour of the commons to extract value from the land, and consequently, in many parts of medieval Europe, common folk - serfs - were actually forbidden to leave the land. In any case, a legal system constructed by the elite in assemblies of the elite for the benefit of the elite cannot be legitimate. It isn't acceptable to say 'yes, this was unjust; but it happened in the past and we cannot change it now'. On the contrary, from the unaddressed injustices of the past spring the wars of the future. We can and we must rebalance the scales. 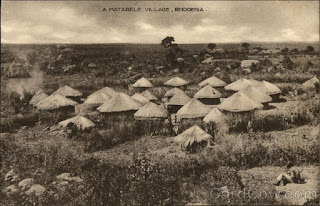 Rhodes took the best land off the common folk of Matabeleland and gave it to white farmers. The Marquis of Stafford took the straths off the MacKays and Gunns and MacLeods, and gave it to 'Cheviot shepherds'. The Canadian Pacific Railway took the flatlands of Saskatchewan off the Dakota and the Métis and gave them to the scaff and raff of Europe, including, inter alia, my Grandfather. The Ndebele and the MacKays and the Métis and the Gunns and the Dakota and the Shona and the MacLeods received no compensation when their land was annexed. If what Robert Mugabe is accused of is taking the land back off the white farmers and redistributing it to the common folk of the Ndebele, then, surely, no-one has any gounds for complaint.